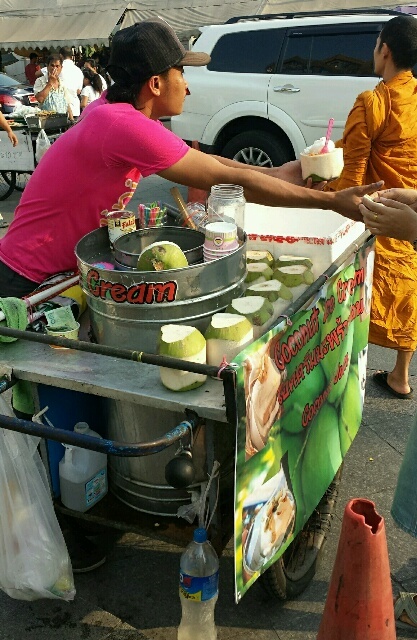 This vendor was selling coconut ice cream served in half coconut shell with its coconut meat, then poured with condensed milk for a 30 baht refreshment. Moments later, one may find out that it was just 20 baht for locals but still consistently priced as 30 baht for foreigners. This realization came as I hung out just across the ice cream guy while quietly eating my delicious foreigner-priced ice cream.